The Royal Family are amongst a range of North East dignitaries and organisations who have given their blessing for the four new super-quays at Aberdeen’s £350 million South Harbour to be named after some of the most iconic castles in Scotland. 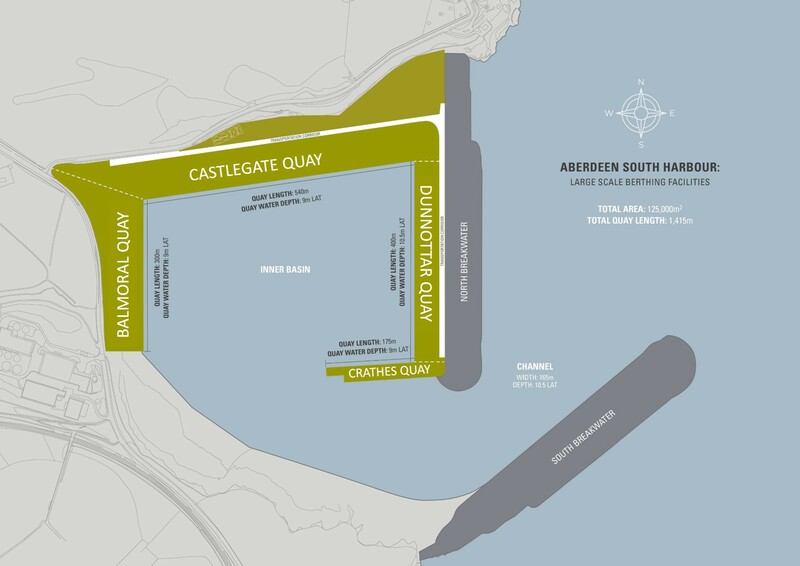 Aberdeen Harbour Board is proud to announce that the four quays in the new port will be named Balmoral, Dunnottar, Crathes and Castlegate, in honour of the history and heritage of the north-east of Scotland. As part of its commitment to ensure continued engagement with all stakeholders during the project, Aberdeen Harbour Board approached the historic and current owners of each of the sites to ensure they were happy with the names mirroring their iconic homes– with all welcoming the accolade. Chris Bain, External Relations Director, Aberdeen Harbour Board, said: “We are delighted to announce the names of our new quays. Aberdeen and the north-east of Scotland has so much to offer visitors, and Balmoral, Dunnottar, Crathes and are known, not just in the north-east of Scotland but further nationally and internationally. We also wanted to highlight Aberdeen City’s rich history through the use of the Castlegate name. The Burnett family has its principal historic seat at Crathes Castle, which is now owned and cared for by the National Trust for Scotland. George Pearson, whose family has owned Dunnottar Castle since 1919, said: "Dunnottar Castle is delighted to be associated with this exciting new development in Aberdeen. This is a fantastic opportunity for the tourism industry and is sure to bring benefits not just for Aberdeen, but for Aberdeenshire and the North East of Scotland". Dunnottar Quay is to be the 400 metre long east quay with Crathes Quay to be the 175 metre long south quay. Balmoral Quay, the west quay, will be 300 metres long and Castlegate Quay, the north quay, will be 540 metres long.